It’s really true, not any ‘ole gift will do. Seeking high and low, to and fro, and lo and behold, it’s the perfect gift. Unique and simple, yet rare and precious, let this holiday shopping satisfy even the most contentious. Browse our holiday guide for some of the unique finds this holiday season. 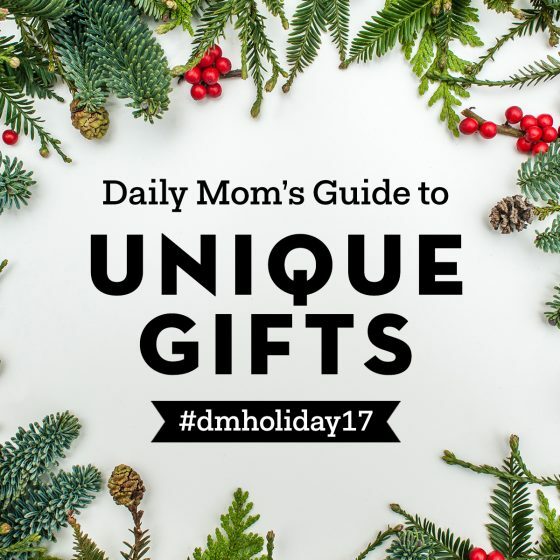 Whether it’s a unique gift for someone near and dear to your heart or a sweet little something for yourself, you’re in for a treat. Perfect for the sentimental person who has everything. We all have that person that we buy for that seems to have everything possible underneath the sun. And if they don’t have it, they will buy it for themselves. 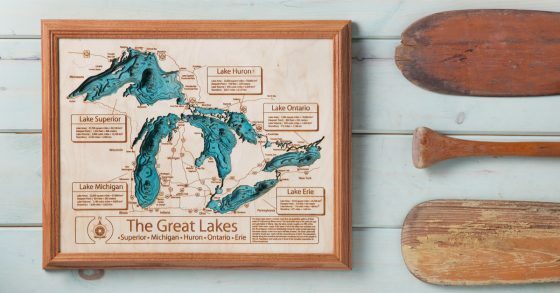 Stay one step ahead of the game with this truly unique Lake Art Hanging Wall Art by The Grommet. 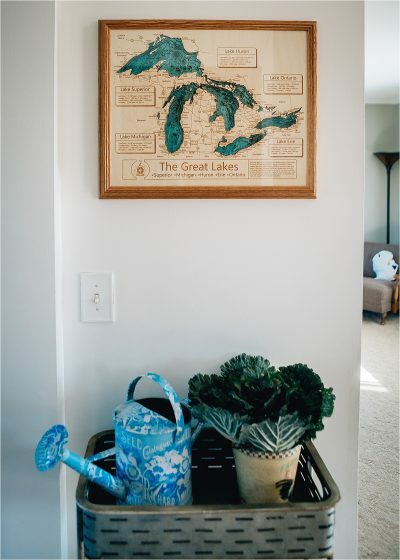 These hanging wall maps are custom made out of wood, and aren’t just for navigating. 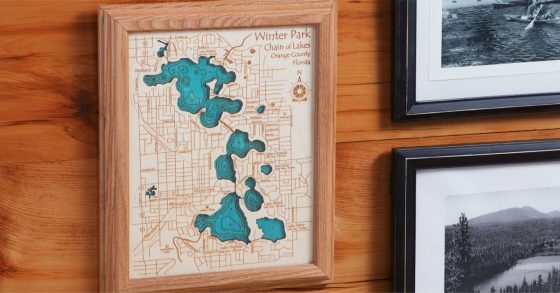 They are for celebrating and displaying your favorite lake, in your home, for everyone to admire. It’s the ideal keepsake for decorating your home, lake house, cabin, or office. 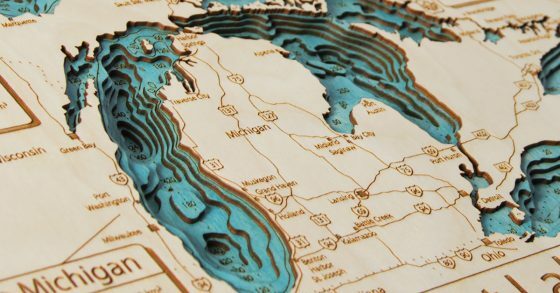 Did you know that the term bathymetry is the study of the depths and shapes of underwater terrain? Who could have ever imagined that it would look so beautiful, hanging on a wall? 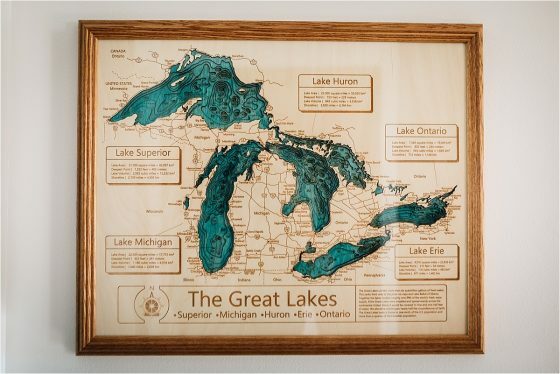 The Lake Art Hanging Wall Art is a wooden, laser-cut map, displaying intricate details of more than 4,000 lakes including shorelines, two colors, and up to eight depth dimensions. They also depict surrounding towns, and major roads, so it really gives the map or area a sense of direction and hometown pride. 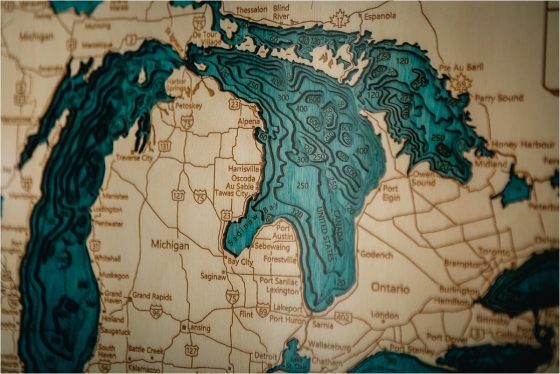 Each piece is handcrafted from scratch and made to order in Harbor Springs, Michigan. Heading to the gym, the office or the airport, the Henty coPilot Backpack is the perfect gift for transporting everyday essentials. This lightweight stylish backpack is ideal for hands-free, all-weather transportation. No matter if you are traveling by foot, bike, car, or plane you will arrive at your destination ready to go. 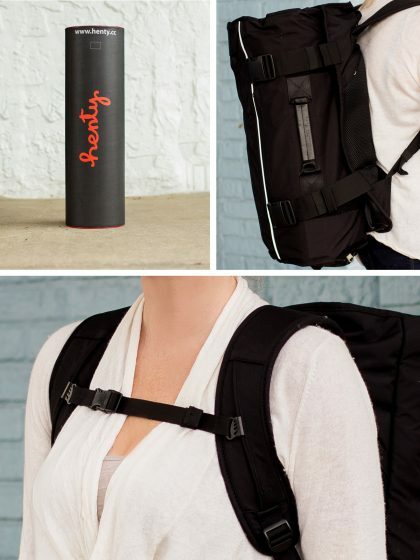 The Henty CoPilot Backpack is ideal for carrying all your necessities by foot, bicycle, motorcycle, car or plane. 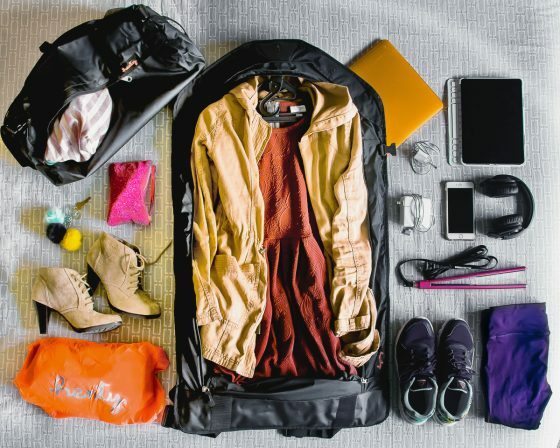 The exterior of this two-piece backpack allows for suits and dresses to be transported crease free, as well as having compartments for a laptop and other electronic devices. 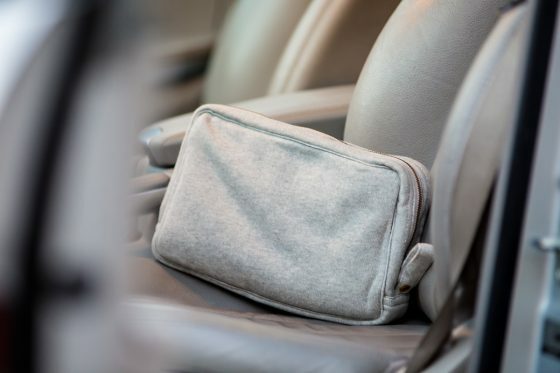 The interior bag is just perfect for putting an extra pair of shoes, a toiletry bag, and any other necessities. 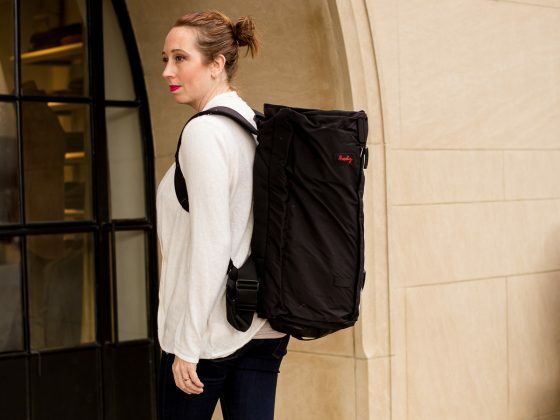 The padded adjustable shoulder straps are incredibly comfortable and make it easier for you when traveling for longer periods and heavier loads. With international express delivery, Henty makes sure you get your gift will arrive quickly. Getting it ready for your loved one is simple, just put a bow and tag on the black tube and you are done. WhiteWall has the perfect gift for all your family members. 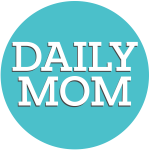 Order one of their acrylic, metal, framed, or canvas prints for everyone on your list. If you are like us, you take photos of your family all year long and your family loves each and every one. 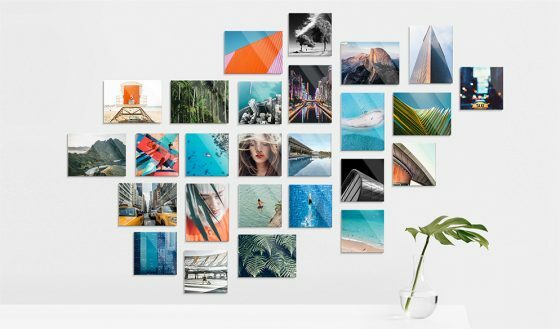 Get those photos off your computer and onto some walls with all the gorgeous options from WhiteWall. 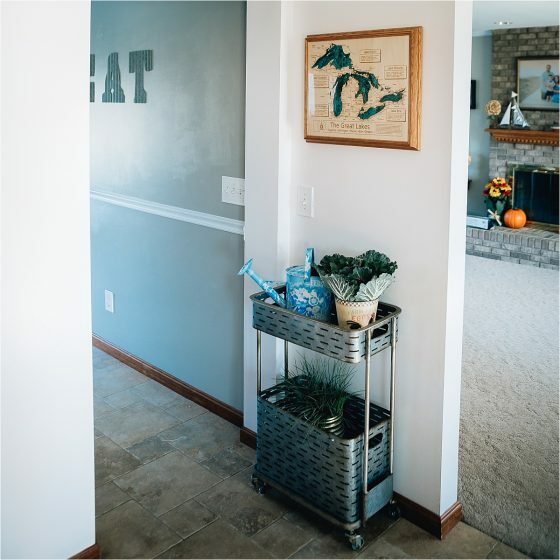 Photos under acrylic glass give you a streamlined look, perfect for hallways or stairwells. They have several options to put your photos on aluminum for a museum quality display! For a classic look, WhiteWall has high-quality frame options. We love the gallery frames! 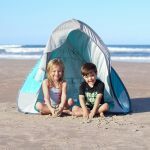 Canvas prints are always a popular gift idea but don’t buy poor quality canvas from your local 1-hour photo. The canvas options from WhiteWall give you saturated and luminous color, displaying your photos in all their richness! WhiteWall applies the highest standards to everything they produce. Perfect for the lady who loves to wear a piece of history. A true beauty from the 1940’s, this Deco Drop In Gold shimmers with golden glass hung from nickel-free brass eurowires. Perfect for the lady who loves a little length without going the distance at only 1 3/4 inches. The antique look of the teardrop shape and the simple elegance of the design is a gentle reminder of the beauty of the 1940’s. Young, wise and sophisticated, this bracelet takes you back as far as the 1880’s. The Bronze Button and Abalone bracelet is a rare find indeed. Adorn your lady with four antique metal buttons, precisely chosen to complement each other beautifully. This rare piece is then mixed with three genuine abalone discs to create each of these one-of-a-kind bracelets. There’s nothing like finding a simple piece of jewelry that speaks volumes for itself. The Petite Pearls, made with Lady Washington pearl buttons originated in Iowa with Mississippi River mussel shells from the 1950’s. After being hand-dyed, three small and detailed brass flower stampings complete the vintage look. The chain runs 16 – 20 inches in length and we think that’s just right. Perfect for the body that craves youthful, taut, and supple skin despite your age. For ultimate pain reduction and improved flexibility, joint function, circulation, muscle definition and performance, nerve activity, with enhanced beauty, the Master Blaster is the ultimate gift this season. This newly released advanced FasciaBlaster® that can be used by new Blasters and long-term Blasters alike. 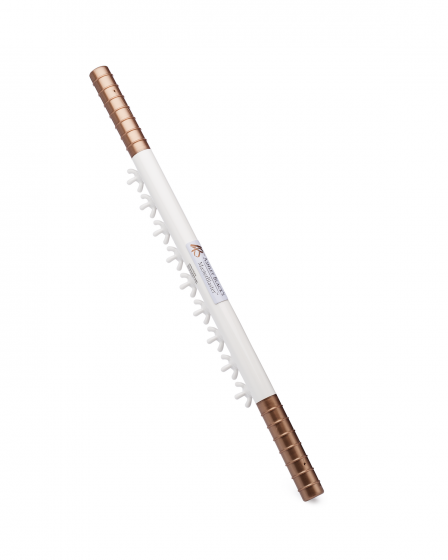 It feels completely different than any of the other tools used for your fascia! The leverage of the bar and its nine claws provides the option to lightly blast with one hand. 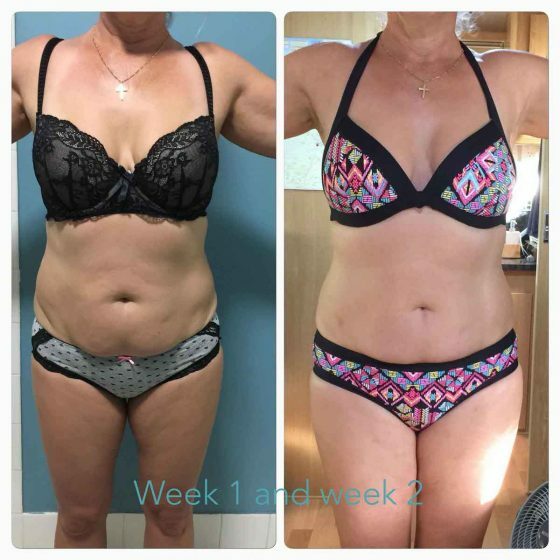 You could start out with the Master Blaster (coming soon) and then graduate to the bigger claws when you feel ready – its really up to you and what youre trying to accomplish to say bu-bye to cellulite for good and hel-lo supple, youthful skin! 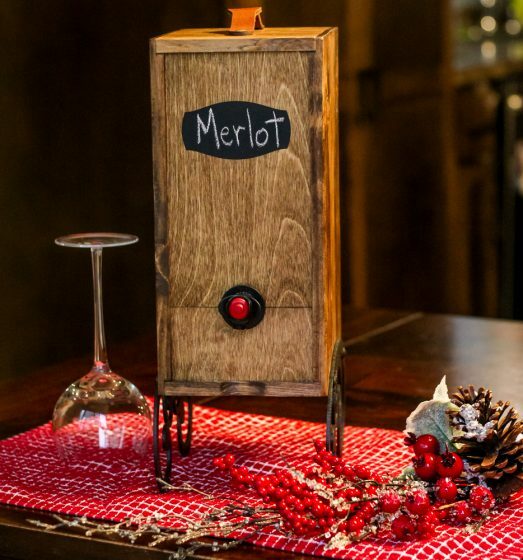 If you are shopping for someone who loves to entertain, host, or simply enjoy a good glass of vino, the Wine Nook is the perfect gift. 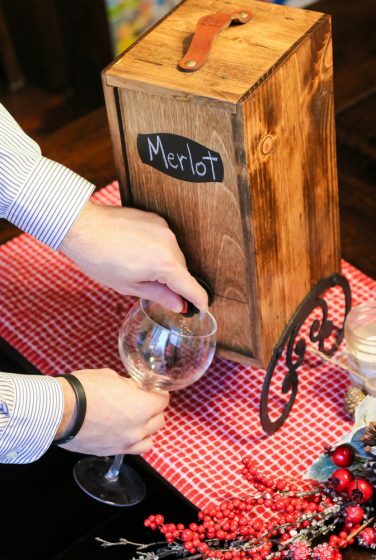 Say goodbye to the cardboard box of boxed wines, and hello to a beautiful and highly functional replacement option. 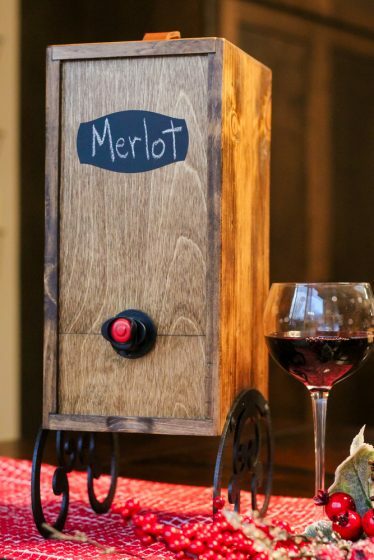 Designed by a professional artist and a woodworker, the Wine Nook is the perfect solution for someone who wants to combine the affordability of boxed wine with the sophistication of a polished look. For an extra special touch, add a personalized engraved monogram. 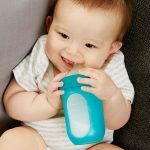 Each nook includes an ice pack, chalk, and a 3-liter fillable bag for homemade concoctions and drink recipes. Join the wine box revolution and enjoy a more environmental-friendly, affordable option that doesn’t skimp on classiness. They say a book is a gift you can open again and again, and each time, discover something new. 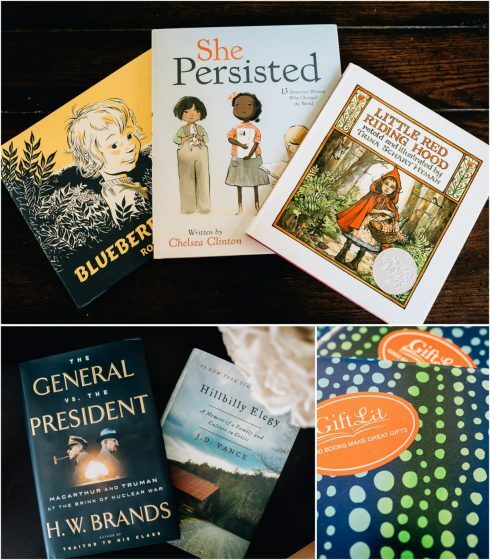 For any book lover, young and old, on your gift list, we couldn’t find a better subscription service than Gift Lit. Every 3, 6, or 12 months, beautifully wrapped books, hand-picked by Gift Lit’s experienced and in-the-know staff, are delivered to the recipient’s door with a personalized note. 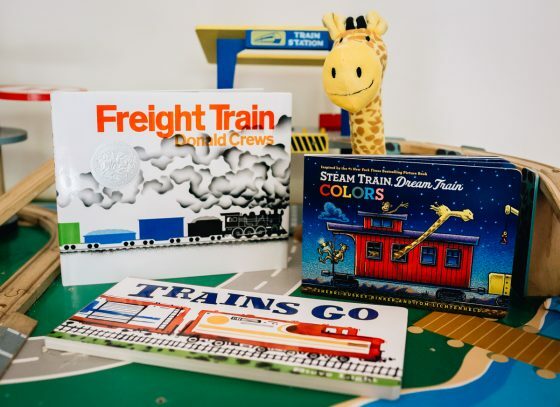 We are not only impressed with the actual wrapped presents that arrive, but also the impeccable quality and selection of the books Gift Lit personally collects and sends. 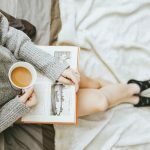 From award-winning children’s books (including their cuddle collection which comes with a matching stuffed animal), top-rated young adult books, to all genres for adults, every person on your list is sure to look forward to that once a month delivery. Like Gift Lit’s motto, Good Books Make Great Gifts. If Garnet Hill isn’t one of the first place you go to when looking for a unique, top of the line gift for anyone on your list, it should be. If you have someone who is notoriously hard to shop for we bet you can find a gift for that person from Garnet Hill. Garnet Hill has fashion, bedding, decor, and gifts you won’t find anywhere else. 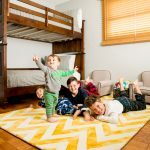 We are obsessed with their Travel Blanket Kit and want to give one to all the travelers on our shopping list. 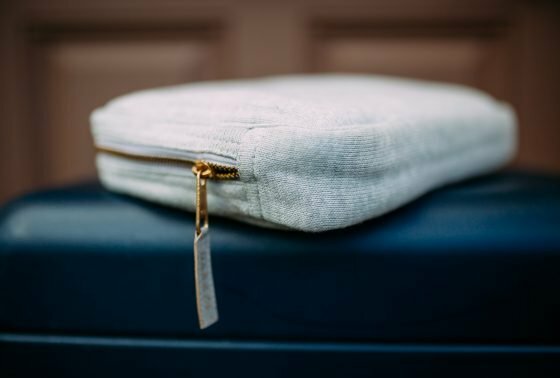 This set is made up of a knitted blanket and eye mask that fit together in a matching pouch. 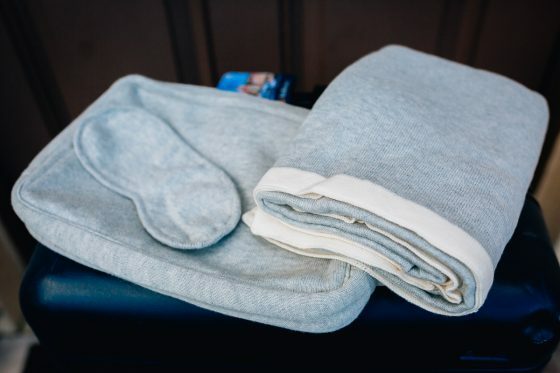 Available in natural and grey, this set will be a must have when packing for a trip in the car, on a plane or on a train. 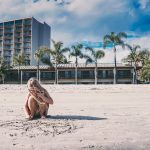 Life is busy and if you get a moment to sit still while traveling to your next destination, this set will give you the comfort you need to unwind and rest. The blanket is so sweetly soft, made of 100% cotton. The pouch zips closed and has a hook to attach it to a carry on bag. 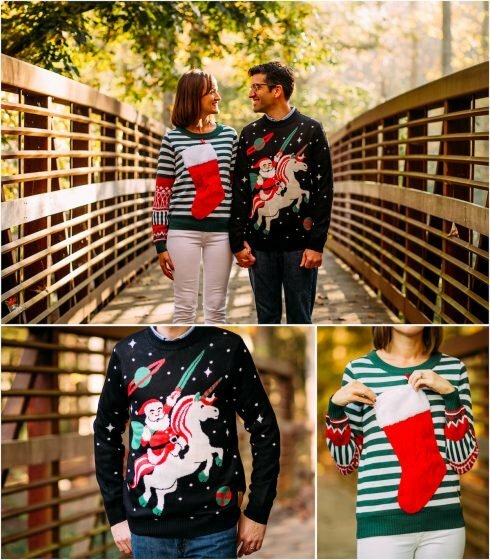 Get ready to roll up to your next holiday party in hilarious sweaters from Tipsy Elves. There are lots of seasonally silly designs to choose from for men and women. Every one is unexpected and delightful. These sweaters are high quality and comfortable. 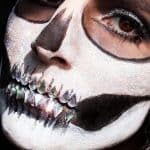 They do sell out so order yours now and wear it all holiday season long. 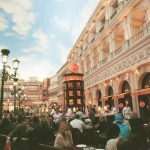 We are ready to wear the designs we chose right away. 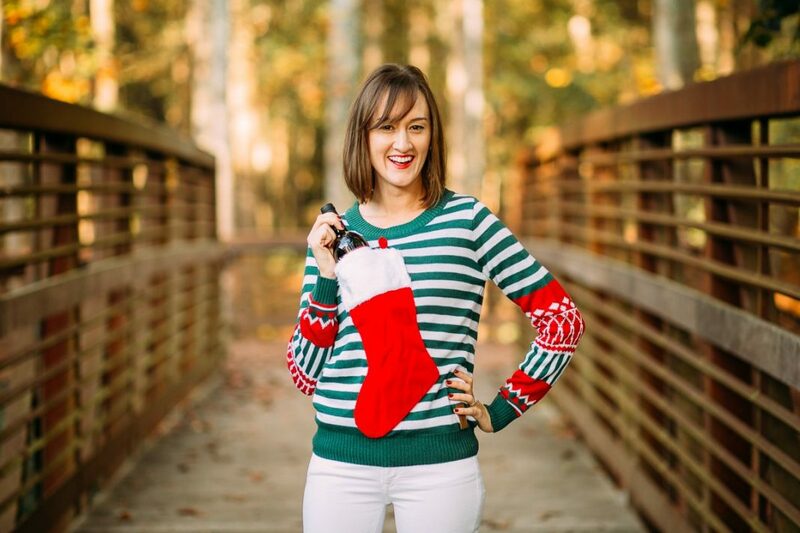 If you obsess over your Christmas card every year, Christmas sweaters from Tipsy Elves may be just the creative idea you were looking for. 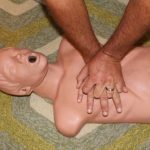 Stop taking things so seriously. The holidays are supposed to be fun! 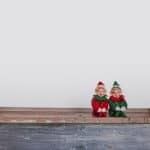 Turn heads this holiday season, create some laughs, and exude holiday joy, all by putting on a sweater. The Women’s Stocking Stuffer Sweater features a functional stocking that you can fill with something fun, a bottle of wine perhaps? We can’t think of a better way to show up at a party. 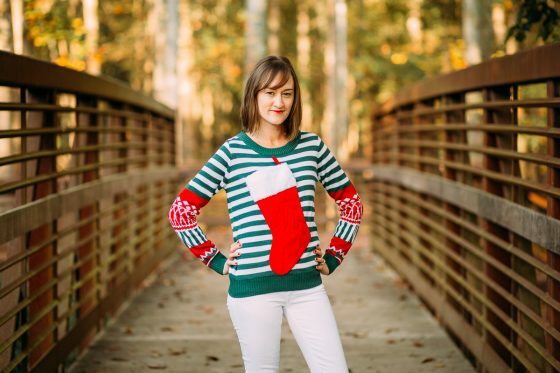 The red, white, and green design is bright and classically Christmas. 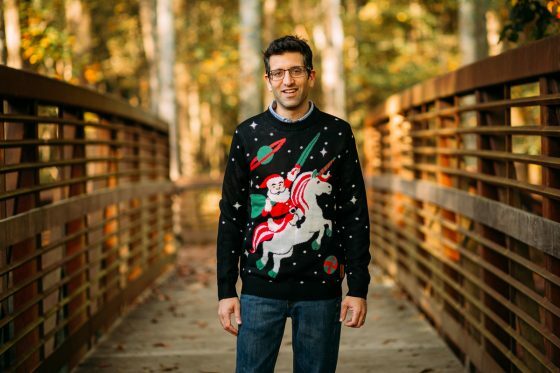 The Men’s Santa Unicorn Sweater is so ridiculously over the top with Santa emblazoned on the front, riding a unicorn in outer space, holding a sword. Let Dad show off his goofy side on your Christmas card rocking this sweater. Both these designs are machine washable and fit nicely. Wear them all season long from Christmas parties to dinner at the in laws on Christmas eve. If you’re looking for a holiday-themed story, Wonderbly’s “The Christmas Snowflake” will make the perfect gift. 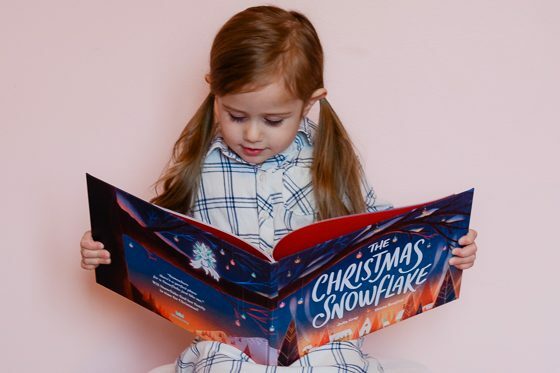 Your child will enjoy this festive story, as she travels with “Snowflake,” who’s trying to find her way to her loved ones in time for Christmas. 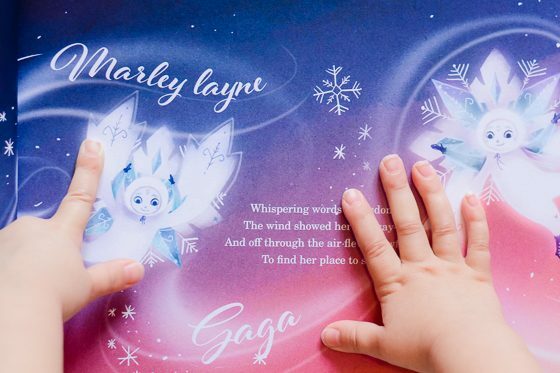 This beautifully illustrated and lyrical book takes your child on a journey though winter, and you can include up to 9 family member’s names that will appear on Snowflake’s crystals, on Christmas stockings and in the winter breeze, all throughout the book. On the last page, a special pull-out “Snowflake” ornament appears, perfectly framing your loved ones’ names beneath. 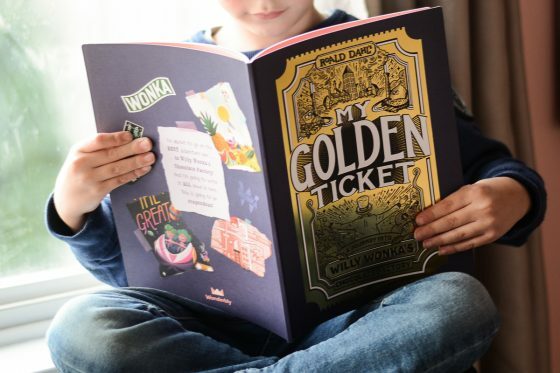 Reading this book will surely become a family tradition for years to come. Home state specific gifts are popular this year. 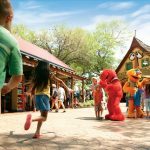 If you have someone on your list who loves the state of Alabama, you need to check out Southern Fried Creative. 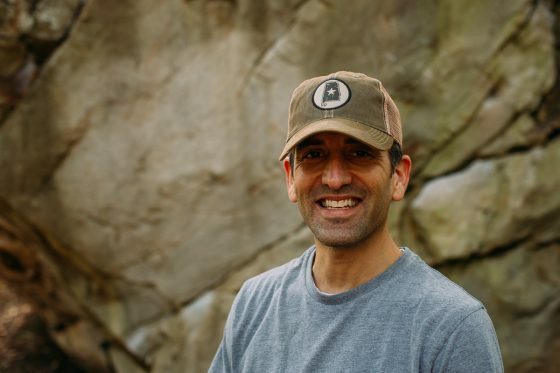 This company, born and bred in Birmingham, has ridiculously comfortable shirts and hats perfect for representing Old Dixie. 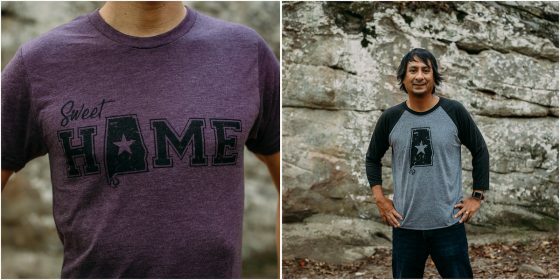 The Sweet Home Alabama Tee in Vintage Purple is a favorite that looks great on men and women. For a different look, the Alabama Baseball tee in Black and Gray gives you a vintage style. All Southern Fried Creative shirts are extremely soft and will be well loved and well worn by whoever is lucky enough to receive one as a gift. If you have a hat lover, the trucker hats from Southern Fried Creative give you that retro, worn look. The Alabama state patch design comes in several color combinations so you can find one for every Alabamian on your list. Stay Southern Fried. Is there a cocktail enthusiast on your holiday shopping list this year? 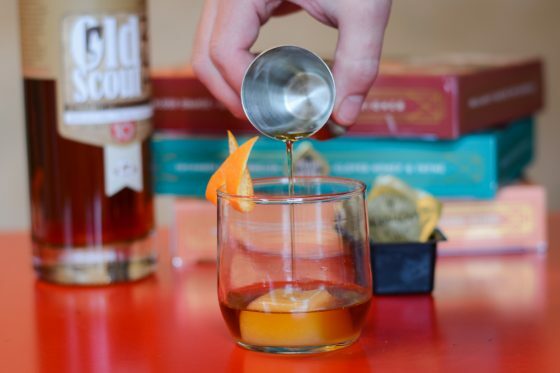 Herb & Lou’s Infused Cubes will make their holiday a little more cheerful. 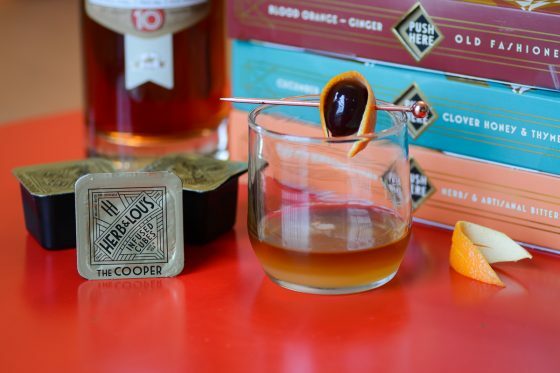 These individually-packaged cubes contain a thoughtful concoction of top-notch ingredients to make the perfect cocktail in just two simple steps. Just peel back the wrapper, pop one of these frozen cubes into a glass and mix it with the recommended liquor. The story behind these amazing cubes is almost as good as they are themselves. Herb’s grandsons found these cocktail recipes in an old safe in his basement. Herb and Lou were best friends, who traveled everywhere together, and formed a taste for the best ingredients in life. They loved making cocktails at parties but hated being the mixologist for the night, because they wanted to enjoy the parties themselves. So, they decided to whip up large batches of their recipes for parties and freeze them in ice cube trays. The rest is history.